Saoirse Ronan has a way of making a movie better purely by her presence. And therefore this elegant if ultimately empty-feeling historical drama is better than it deserves to be. Rating: 2.5 stars out of 4. 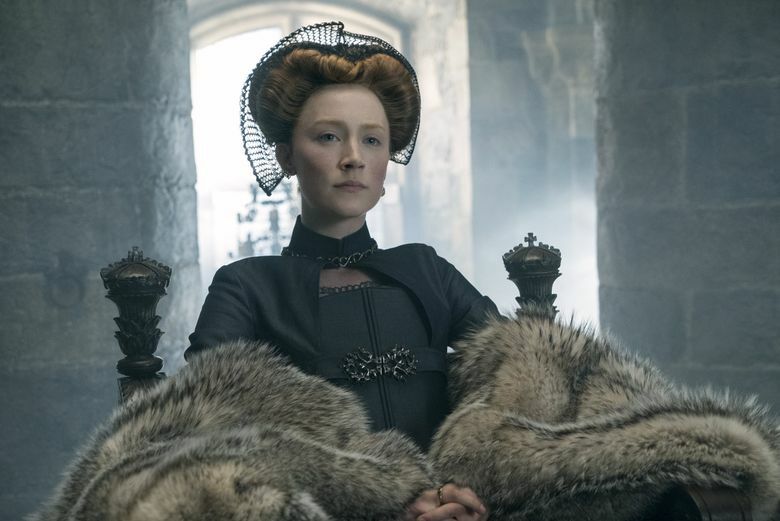 When Ronan’s on screen, “Mary Queen of Scots” lights up; when she’s not, the film feels a bit stodgy and theatrical, as if the air has been drained from its echoing rooms. (The theatrical feel of it is no surprise; director Josie Rourke, making her film debut, is a stage veteran and current artistic director of London’s Donmar Warehouse.) Written by Beau Willimon, the film takes place after Mary’s return to Scotland at the age of 18, and focuses on her attempts to seek an alliance and connection with her cousin and rival queen, England’s Elizabeth I (Margot Robbie, a bit lost behind elaborate makeup). It’s structured as a flashback, beginning and ending with a pale, resolute Mary headed to her execution — complete with an effective flash of blood-red petticoat. Though never less than handsome and occasionally electric, this “Mary” struggles to overcome an essential dramatic problem with the story: History tells us that Mary and Elizabeth never met, so the film proceeds as two parallel narratives, with letters read aloud and tension dwindling. A confrontation seems needed — otherwise where is the film heading? — and an oddly sheet-draped compromise scene is crafted; too little and too late. You find yourself focusing on the details of Alexandra Byrne’s flowing costumes, or on the wince-inducing meticulousness of Robbie’s post-pox makeup, rather than caught up in the story. Except when Ronan’s face catches the light; there, “Mary Queen of Scots” finds its fire. ★★½ “Mary Queen of Scots,” with Saoirse Ronan, Margot Robbie, Jack Lowden, Joe Alwyn, David Tennant, Guy Pearce. 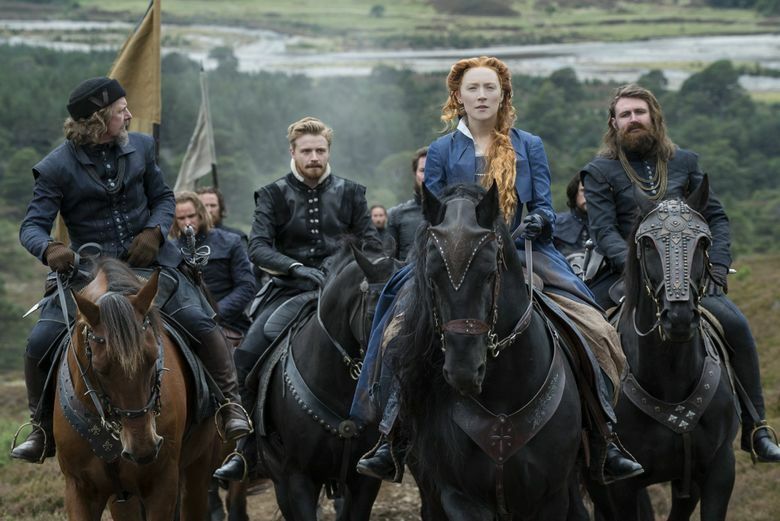 Directed by Josie Rourke, from a screenplay by Beau Willimon, based on the book “Queen of Scots: The True Life of Mary Stuart” by John Guy. 123 minutes. Rated R for some violence and sexuality. Opens Dec. 14 at multiple theaters.